With more than 250 colleges offering undergraduate degrees in African American studies and African Americans holding key positions in innumerable fields, there's more interest than ever in African American history and culture. Spanning from Africa before the transatlantic slave trade, slavery, Jim Crow, the civil rights movement, and Hurricane Katrina to historical figures, pivotal events, momentous court cases and key cultural contributions, African American History For Dummies (Wiley: April 2007, 432 pages) is a plain-English guide that helps people get a handle on the African American experience over the last four centuries. The first ten chapters span from Africa pre-transatlantic slave trade to Hurricane Katrina. The remaining eleven chapters cover everything from education, African American Literature and sports to music, film/TV and the Black Church and includes a parts of ten section that counts down ten Black firsts, ten Black classic books and ten great Black artists. 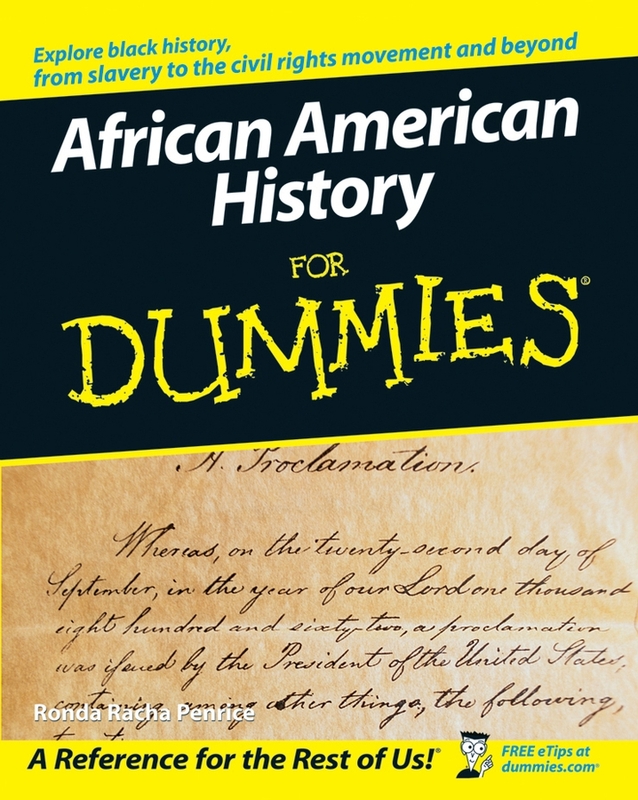 Click here to watch Ronda speak about her book "African American History for Dummies"